EL MONTE – SUNDAY, JUNE 9 @ 10:00 A.M.
SUNDAY, JUNE 9 @ 10:00 A.M. 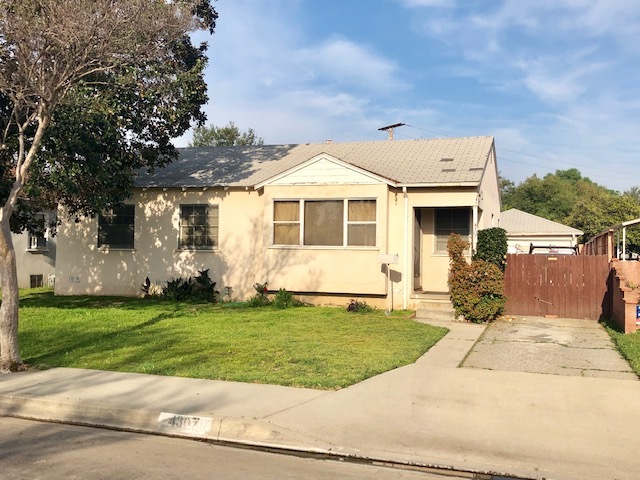 DESCRIPTION: GREAT OPPORTUNITY TO BUY A 3 BEDROOM, 1 BATH FIXER HOME WITH DETACHED WORKSHOP IN EL MONTE. THE HOME FEATURES A LIVING ROOM AND KITCHEN. 2 CAR DETACHED GARAGE AND LARGE BACKYARD. CLOSE TO PARKS AND SCHOOLS. BUYER TO VERIFY ALL PERMITS. NO COURT CONFIRMATION. LOT SIZE: 7,308± SQ. FT. TERMS: CASH. BUYER TO OBTAIN OWN FINANCING. FINANCING IS NOT A CONTINGENCY TO THIS SALE. PROPERTY SOLD IN “AS IS” CONDITION WITH NO CONTINGENCIES WHATSOEVER. PROPERTY SOLD SUBJECT TO ACCEPTANCE OR REJECTION BY THE SELLER. INSPECTIONS: SUNDAY, MAY 26 & JUNE 2 (11:00 A.M.-2:00 P.M.) & ½ HOUR BEFORE AUCTION.